Just last week, as a matter of fact, I noticed a truck on our street delivering what were rolls of artificial turf. 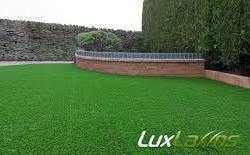 ‘Design Turf Synthetic Grass’, I guess the aficionados call it. The notion there was enough demand for this product for a company to actually specialize in it surprised me. I’d assumed someone had plans to cover a small back cement patio or something similar with it. Friendly up the industrial concrete feel. But really. Does that a business case make? Karen Stintz, folks. Former city councillor and 1 time mayoral candidate, extolling the virtues of an artificially turfed front lawn. Or, ‘Year-round Design Turf Synthetic Grass’ as a brochure might call it. 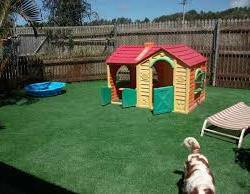 According to the CBC report, this new generation of astro turf is sometimes difficult to tell from the real thing. All the soullessness and conformity of a grass front lawn without any of the hassle to maintain it! We know how much Ms. Stintz valued the extra two or three minutes a day she got to spend with her family when, as a councillor, she voted to rip up the Jarvis bike lanes. So, any time not spent gardening or cutting the lawn is clearly important to her. Cheap shot? Maybe. There’s certainly a whiff of the judgmental taste police in my reaction. I mean, come on, Karen. No aesthetic sense at all trumping pure convenience? 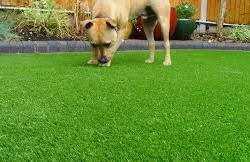 In the story, she points out that there’s a city by-law against artificial grass lawns, a $1400 fine for the infraction, in fact. Don’t city inspectors have better things to do, wonders Stintz and a neighbor, than skulk around every January, looking for the greenest of grass in neighbourhoods and handing out fines to offenders? A fair question unless the by-law has something to do less with the concerns of taste and suitability than I’ve expressed and more about, say, the environment. Sure, as another neighbour pointed out, there’s no watering needed for a fake lawn. So that’s environmentally positive. But does this new generation of faux-turf allow for rainwater or snow melt to soak into the ground below it or does it simply act as a sheet that flushes it off into the sewage system? If not, then the city has every right to enforce their by-law, as convenience for one home owner costs the rest of us money. At this point, we don’t know but as we also learn in the report, Karen Stintz is heading back to City Hall to fight this unfair by-law. I’m not going to lie to you and say that news didn’t bring a smirk to my face. How appropriate is it that, after 3 terms as a city councillor, her last one as the chair of the TTC no less, she resurfaces on the political map, fighting for the right to have an artificial grass lawn? That’s the extent of it, the depth of her 11 years of municipal political experience. “Fake, plastic and unnaturally green,” I tweeted out when I heard the news. Not to pat myself on the back but I think that’s the perfect epitaph for the political career of Karen Stintz. This entry was posted on Tuesday, May 26th, 2015 at 2:17 pm and is filed under CBC, City Council, Elections 2014, Municipal Politics, Press coverage, Race 4 Mayor. You can follow any responses to this entry through the RSS 2.0 feed. You can leave a response, or trackback from your own site. Perhaps Karen figured that in a city that builds a giant sandbox dotted with pink umbrellas and calls it a “beach”, tackiness and phoniness are no longer things to be concerned about.